Lightning and surge protection solutions provider, Dehn Africa, has once again acknowledged local distribution partners, recently awarding top associates at its fourth annual African partner awards ceremony. The big winner for the evening was Universal Lightning Protection Services (ULPS), which received the title of ‘Best performance overall’ for the second consecutive year. The title of ‘Project of the year’ went to Pontins, for its work on the Tswalu Montlhopi Game Lodge. 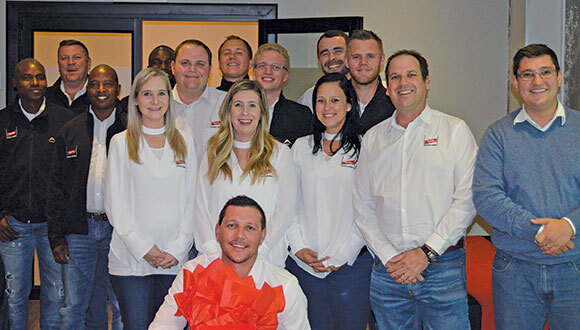 While Webb Industries, a division of Jasco Trading, took home the trophy for the ‘Most up and coming partner’ and ElectroMechanica and Electro Tech were named as ‘Reseller of the year’ for South Africa and the SADC region respectively. As well as thanking all partners for their commitment over the past year, Dehn Africa managing director Alexis Barwise gave attendees an update on the internship programme with Wits University, where he appealed to local businesses to assist in providing second-year electrical and mechanical engineering students with industry experience during their six months of practical training. Barwise also touched on the global 2020/2025 vision, and how this would be adapted locally, before bidding farewell, prior to his departure from South Africa to join the team in Neumarkt, Germany, as director AMEA.